One of the most asked questions about Shakeology is why is it so expensive. At $130 a bag, Shakeology is by far the most expensive meal replacement shake out there. Even I had sticker shock when I first started buying it seven years ago. Unfortunately, too many people stop right there and won’t even think about buying Shakeology due to the price. The reality is that you get so much from Shakeology when you use it daily that the price ends up not being an issue. 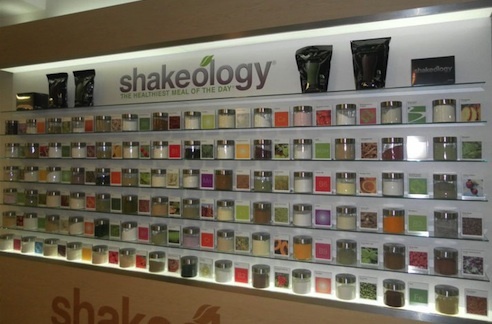 It’s Shakeology’s ingredients that make it expensive. We’re not talking about a tub of Whey Protein and some vitamins. We’re talking about 70+ ingredients that make up Shakeology. Most of which are not grown in the United States. In the development phase of Shakeology, Beachbody sent Darin Olien around the world to find ingredients. After they found which ones worked they went back to those countries and purchased tractors for the farmers to grow more of them. Not in all cases but in some. Many of those areas are under developed and don’t have the capacity to produce at the levels which Beachbody needs. Those costs start adding up. Most of which are logistic costs. 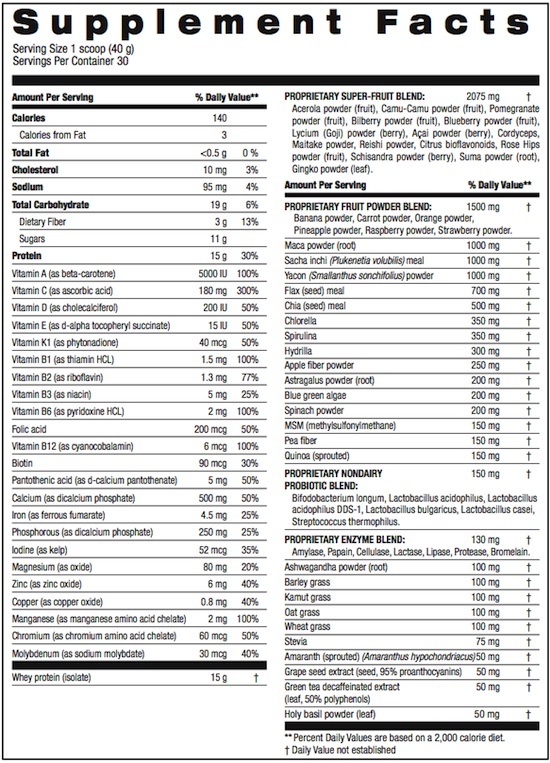 If you flip over a bag of Shakeology and look at the ingredient list you’ll see quite a bit of stuff. Have you heard of or seen any of those ingredients in your local grocery store? What you really need to think about when it comes to the cost is the breakdown of each one of the ingredients in Shakeology. Here is what they look like individually and if you were to buy them on your own. Would you rather spend $461 to buy the ingredients separately or $130 from Beachbody? 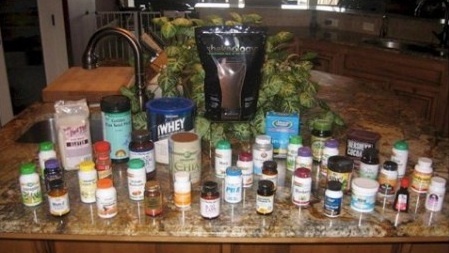 Would you rather have 25 different bags and bottles of ingredients taking up counter top space or one bag of Shakeology? When you take into account the cost of acquiring the ingredients, shipping them back to the U.S, combining them, packaging, and so forth that you get the $130 price. Yes, Shakeology is expensive but it’s for good reason. Beachbody is not trying to rip us off. It’s amazing how they can sell a 30 day supply for $130. I really hope this helps in breaking down why Shakeology might seem so expensive. If you use it once a day it breaks down to about $4 per serving. Less than fast food or a cup of coffee at Starbucks and has like a billion % more nutrition than those. I’m a big fan of trying the sample pack of Shakeology to find out what flavor you like before going all in and buying a bag. Are you a mouth piece of Beach body because you are clearly not only using your brain but you lack common sense. Let me suggest a very HEALTHY, VEGAN, NUTRITIOUS, RAW MEAL PRODUCT and its called Garden of Life: Raw meal and I can get it $40 bucks at The Vitamin Shop. There are also several other products around that may not have all the bells and whistles but they are healthy and nutritious as well. How can you sit there and convince someone to spend $120-$137 on a meal replacement shake? i can go to the local Vitamin Shop and buy goji or mangosteen, or acai juice for under $20. Don’t sit there and try to convince people to spend that amount money a month. Shakeology costs $4-$5 dollars a day = $31.50 a week = $126 – $130 a month = $1512 a year to drink meal replacement shakes. … smh.. Thank you for your reply. Sure – you can call me a mouth piece for Beachbody. That’s fair. I hope you know you’re making my point. Taking your example of buying “Garden of Life” along with Goji, mangosteen, or acai the cost starts adding up to $60 for those things. I believe all of those ingredients plus many more make up Shakeology. You’re trying to separate the costs while the whole point of this article explains why the cost is what it is because of all the ingredients. Sure – you don’t need everything in Shakeology. I’m not trying to convince anybody to buy it but merely explaining why it costs twice if not three times as much as even Beachbody’s normal $40 meal replacement shake. Shakeology is the “bells and whistles” of meal replacement shakes. I like to think of Shakeology as the Ferrari of meal replacement shakes. You don’t need 545 horsepower to get from A to B when 135 horsepower will do. However, once you drive the Ferrari you’ll never want to drive something else. The same works with Shakeology. I’d say over 80% of people who buy Shakeology are hesitant at first about the price ( I was too) but once it starts working they continue to buy monthly or quarterly. Thank you for suggesting I lack common sense and that my brain does not function correctly. You’re probably right there too. does shakeology help people lose weight,without other products. Hi Linda. Yes. If you started replacing one meal a day with Shakeology it would help in losing weight.